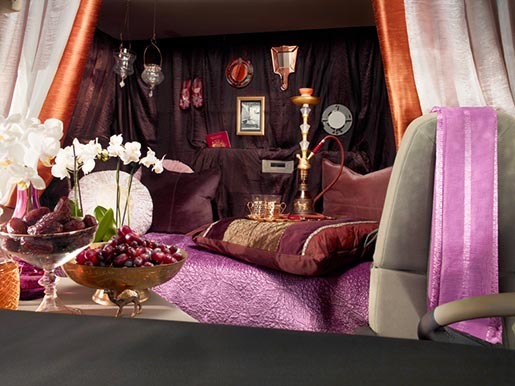 Volvo launched the new Volvo FH truck on eBay on September 19, 2012, an effort rewarded with two Gold cubes at the global Art Directors Club awards last week. 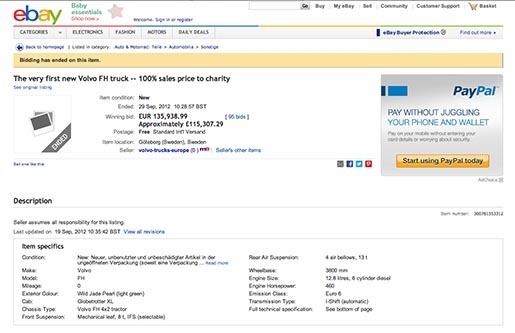 The eBay auction page presented the truck through a charity auction raising funds for Star For Life (SFL), a non-profit organisation and a schoolbased HIV and AIDS prevention programme in South Africa. 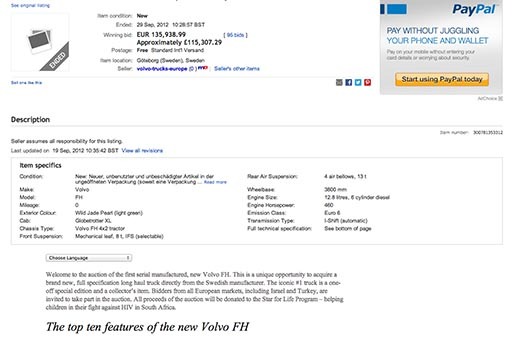 Aimed at truck drivers and owners in Europe, the ten-day auction for the world’s first serial manufactured Volvo FH began at one Euro and closed at 135,938.99 Euro. The eBay listing came with a list of ten characteristics, including YouTube videos such as the Volvo Ballerina Stunt. Hundreds of smaller auctions drew traffic to the big one. 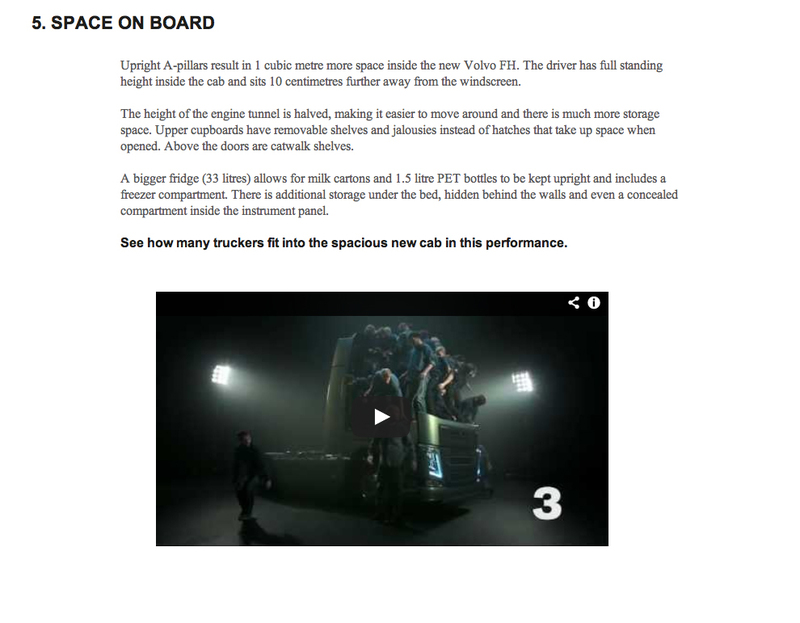 We’ve presented here a sample of the imagery, text and film from the launch site. 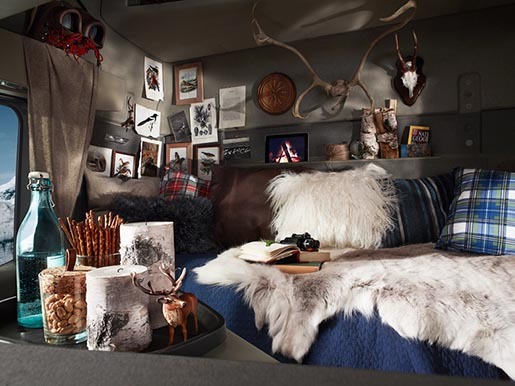 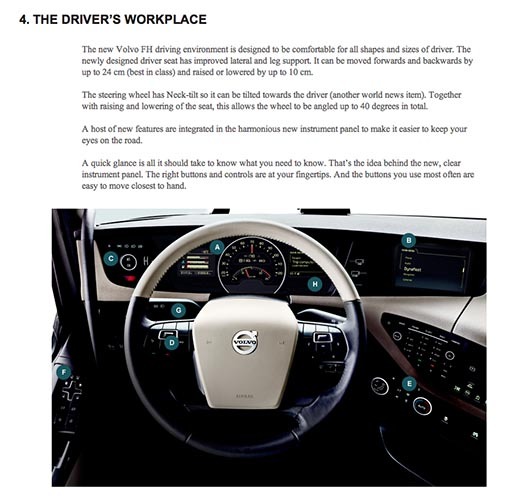 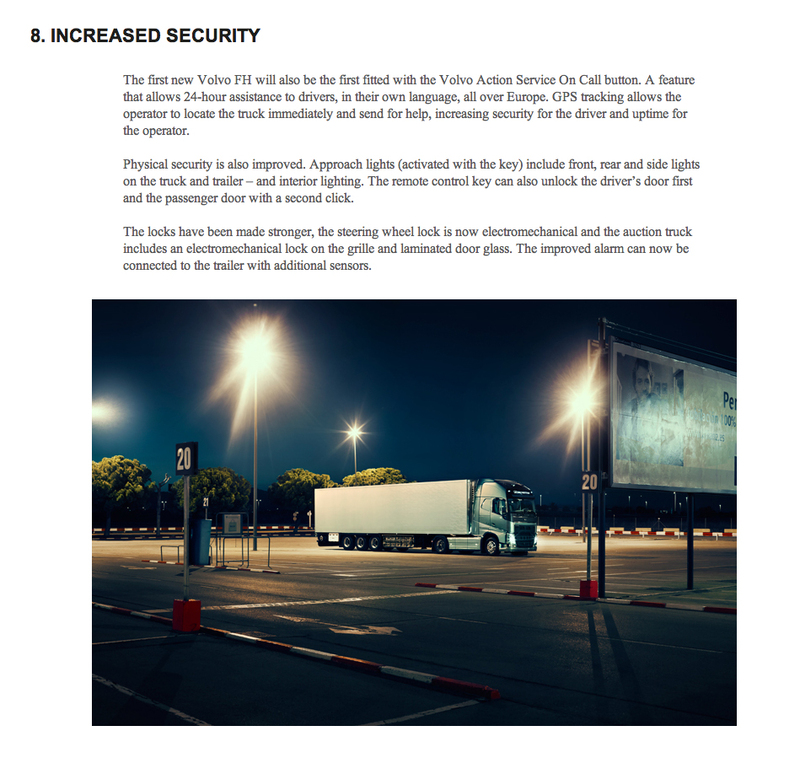 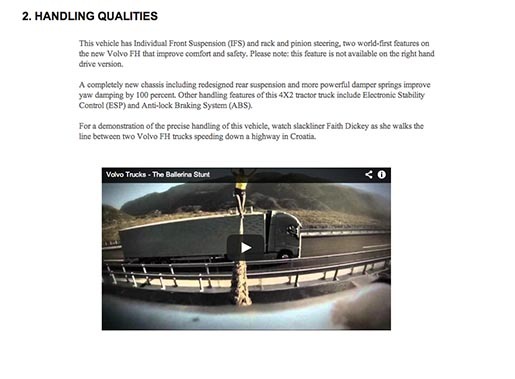 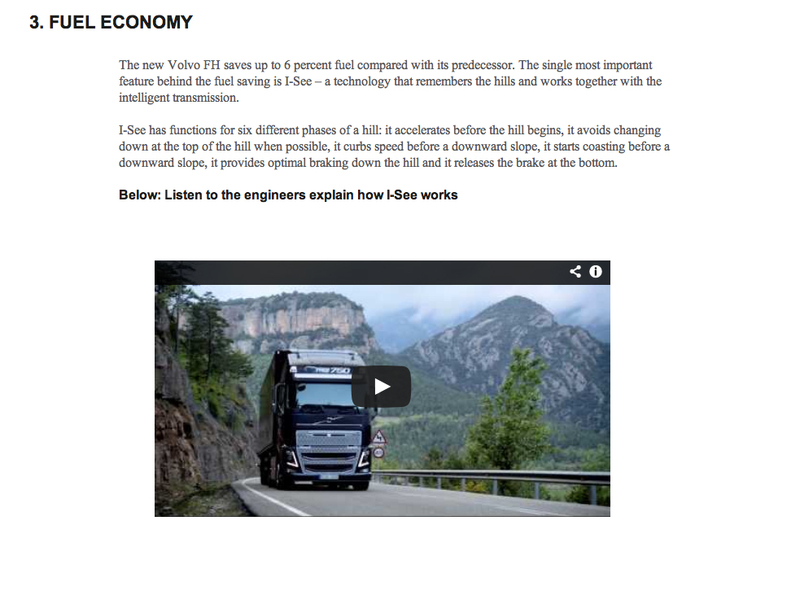 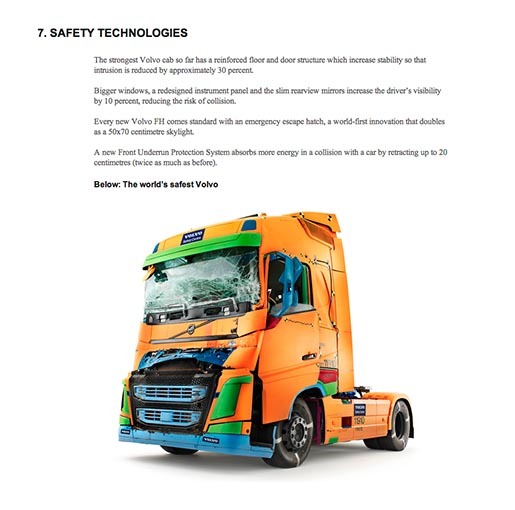 The Volvo Truck eBay Launch site was developed at Forsman & Bodenfors by art directors Anders Eklind, Sophia Lindholm, copywriters Martin Ringqvist, Björn Engström, Simon Coe, account supervisor Olle Victorin, account manager Cilla Glenberg, account executive Britta Malmberg, digital producer Peter Gaudiano, designer Jerry Wass, information architect Johan Wingård, and produced at Sell it Smart.